Note that this post has had several updates below. 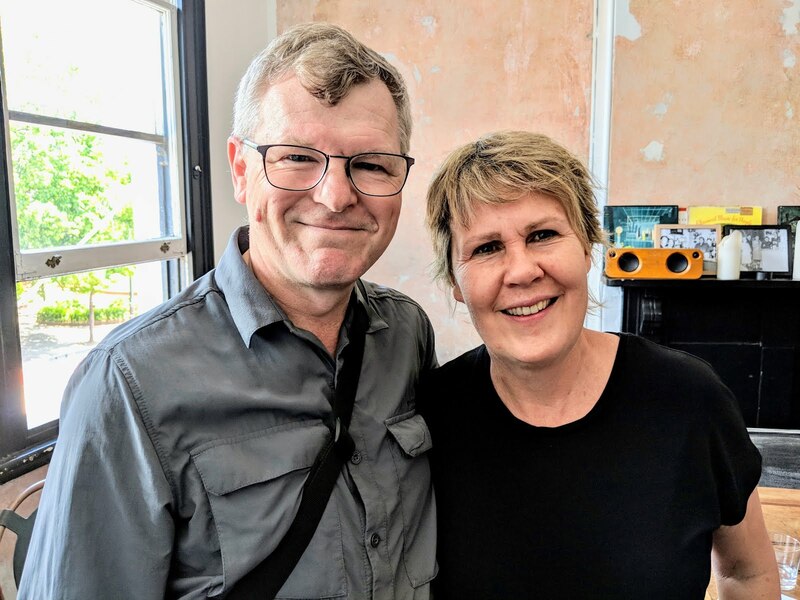 We've just moved in to an apartment while our home is being re-built. 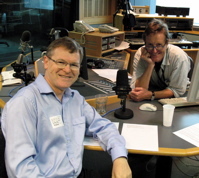 Naturally the challenge of continuing ham radio operation intrigues me. This particular block has a single wide balcony that is almost wide enough for a 20m dipole. I've shortened a 20m dipole by adding a few turns mid leg. The loading coils are four turns on toilet roll centres. 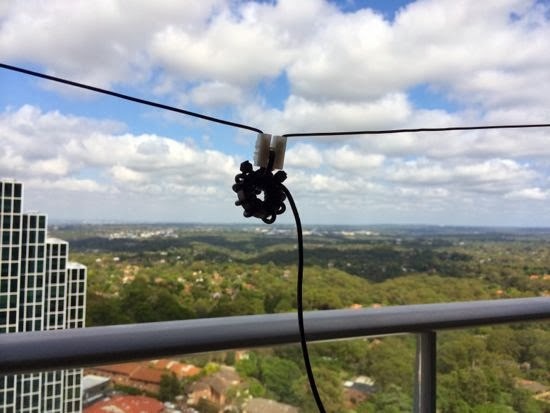 This simple dipole uses RG-174 thin coax both as the feed line and for the balun winding which makes it very neat and light weight. There's a lot of metal close by and this seems to lead to rather high SWR readings and low impedance but so far reception is good and reports reasonable. The KX3 ATU is able to match without problem. 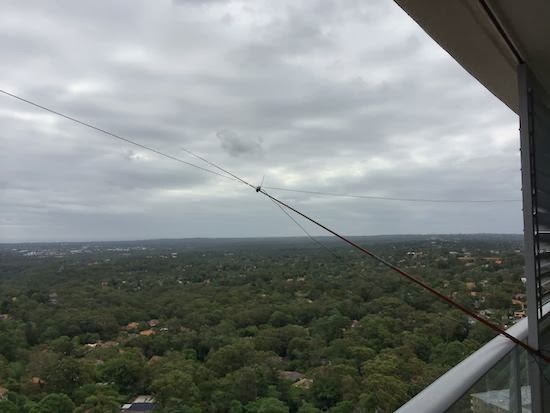 To get the antenna away from the metal I've been using a squid pole to push the balun out, making a kind of horizontal inverted V configuration. Reports from Sunday regulars VK2BMS and VK2BLQ indicate that my signal is noticeably stronger in this configuration. The antenna is very compact and packs down for portable use. 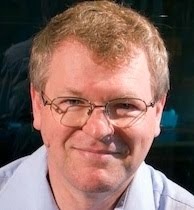 There are several configurations I plan to try including end drooping and folded dipoles. 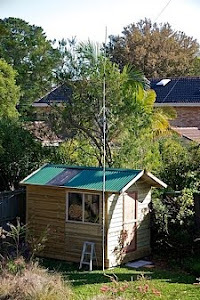 This weekend I tried the Ozi-pole antenna, a very short antenna for 40m-6m operation. 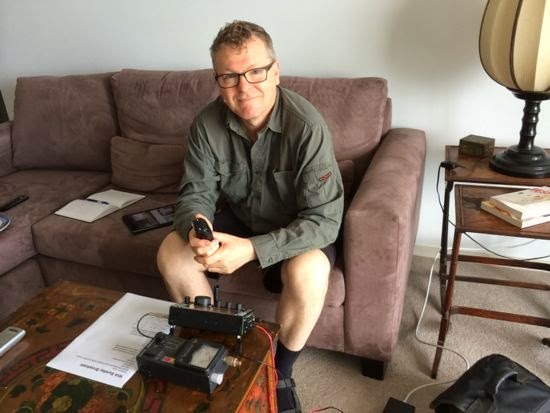 On 40m it works well for reception but tuning is incredibly sharp. On 20m I had two contacts but strength was well down on the simple wire dipole above. The lesson for me is that it's best to get as much wire out there as possible and bring it to resonance with the minimum loading. 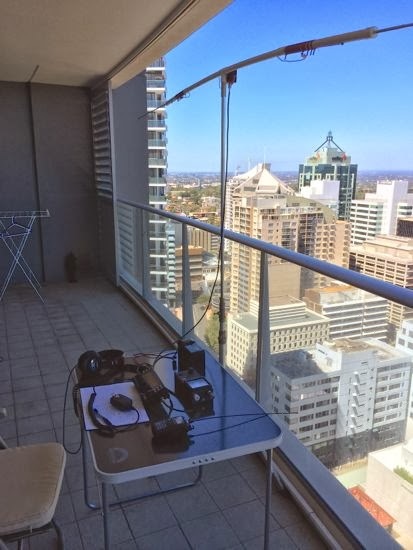 The ozipole is great but doesn't take advantage of the balcony space I have available. Here's the station this weekend. 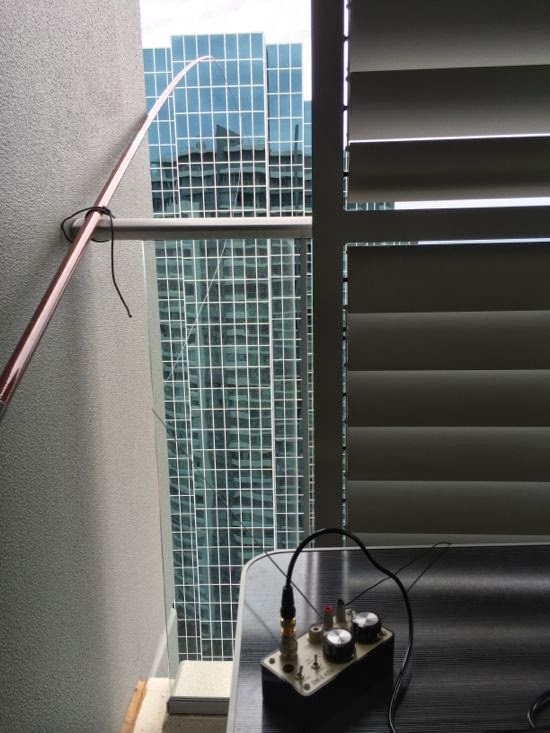 Update: Best antenna for high rise H.F. This weekend I've had a breakthrough. A squid pole, which is a light weight telescopic fishing rod, is poked out from the edge of our balcony and a wire fed through it's end loop. This means that the wire is dropping vertically parallel with the building but about 2m out from the side. A counter poise of about 3m is laid on the balcony. 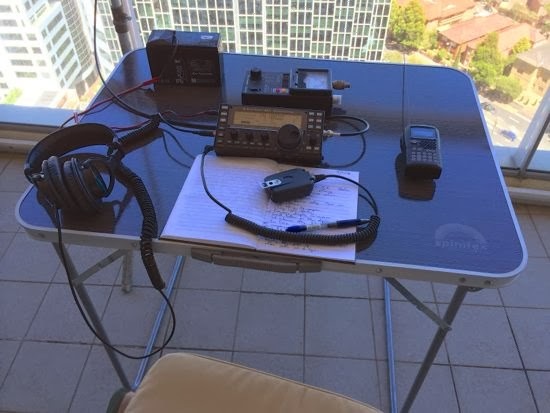 Signals are 2-3 S points better than the dipole on the balcony and reception reports of my transmitted signal are very positive. So far I've only tried 20m but I'm tempted to give 80m a go. 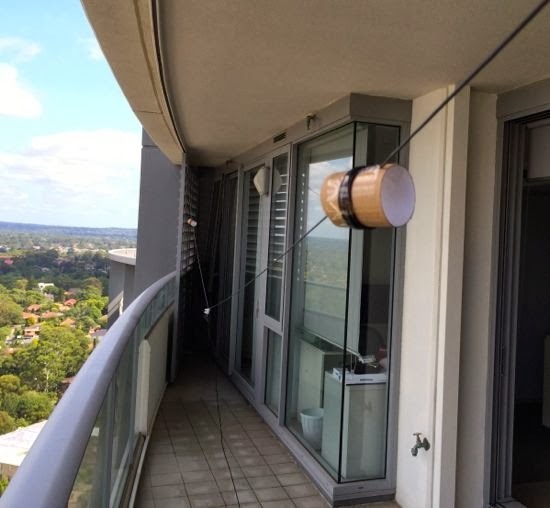 The wire is black insulated multi-core and pretty hard to see, but I'm concerned that it might blow into someone's balcony below and they'll complain to building management. Here's how it looks from the operating position. The wire is approximately 10m long all together and I match it with an Emtech ZM-2 Z-Match tuner which can achieve an almost perfect 1.1 SWR.